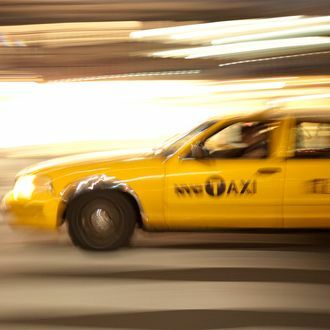 A taxi driver who hit and killed an 88-year-old woman Sunday morning on the Upper West Side reportedly told police that he had been driving for 16 hours straight, though the limit is 12 hours. The New York Times reports that Luisa Rosario was hit in a crosswalk on West 109th Street at 12:42 a.m., and died later at the hospital. Cab driver Salifu Abubkar, 73, was making a right from Columbus Avenue. Both Rosario and Abubkar had a green signal. Abubkar stayed at the scene and told police he had been driving since 9 a.m. the previous day. His son Khalil, 21, told the New York Post that his father helps support his four children, ages 18 to 30, and regularly works longer than the legal limit. “Saturday, my father works a very long shift. He works 16 hours minimum on Saturdays,” Khalil said. “My father is a considerate, kind man. I can’t see how he would hurt anyone.” Abubkar has been charged with failure to yield to a pedestrian, a misdemeanor, and the Taxi and Limousine Commission suspended his license. While traffic fatalities in New York City have been down in the last two years, there’s been an uptick in fatalities since last Saturday. Eight people have died in traffic collisions, and most were pedestrians.